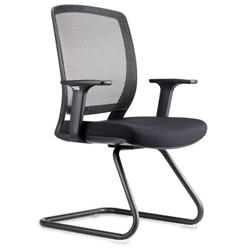 Features: Stylish Visitor, Meeting chair. Frame: Steel Powder coated Black. 10 year warranty against faulty parts and workmanship.